Russia's Central Bank suggests classifying cryptocurrencies as digital goods, Deputy CBR Governor Olga Skorobogatova said Thursday. MOSCOW (Sputnik) — Russia's Central Bank (CBR) suggests classifying cryptocurrencies, including bitcoin, as digital goods, for the purposes of taxation, Deputy CBR Governor Olga Skorobogatova said Thursday. "Two months ago we held a meeting with ministries and organizations… on how to classify non-state cryptocurrencies, which are de facto used in Russia. We propose to treat them as digital goods, use the digital goods legislation, with certain amendments on taxes, control and record-keeping," Skorobogatova said. According to the CBR deputy governor, the proposal was supported by all ministries and the CBR is planning to deliver the first draft of relevant regulations in a month. The Russian government has been mulling the official stance on cryptocurrency for over a year, considering at one point its criminalization, as any currency is forbidden by law, including virtual money, if not approved by the Central Bank of Russia. 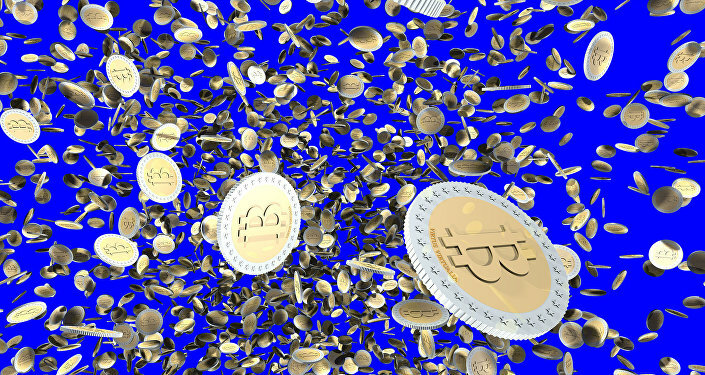 Bitcoin is one of the most popular cryptocurrencies based on blockchain technology, with data distributed on multiple computers and no central server. Each block of data in a blockchain contains a timestamp, which makes it able to track transactions.